Carnivius_Prime wrote: I find these more worthless personally. At least with previous TM's I could ignore them cos they weren't based on characters I cared about but these? They is spitting on my Pretender dreams. FYI ... I accidentally clicked "edit" on your post instead of quote, hopefully I restored your post as best as I could! I feel the same way. I keep telling the brand team that I want Pretenders. They probably think I'm crazy. But I really want to see the Pretenders done with modern toy technology, whether it's the traditional concept for with a modern action figure type "shell" with inner robot, or with an "inner" robot that can transform into a vehicle AND becomes armor to upgrade the action figure "shell" character (in lieu of fitting in an actual shell). I really don't care about the robot actually being able to go inside a "shell" as long as the robot somehow can "hide" away by either integrating inside of the shell or by becoming an upgrade set for the "shell". I quoted the word "shell" because I'm referencing the humanoid shell character/figure versus the inner robot character/figure. I think someone will come up with an exciting way to redo these characters at some point that will honor their heritage properly. The Pretenders really struck a chord with me on many levels from their introduction in the comics, to being the first mainline concept to be excluded from the Hasbro cartoons (excluding Mini-Spies and Decoys), to just really inspiring me as a kid. I loved playing with them and I loved having 2 toys in one. I even used to count them as 2 separate Transformers in my figure count when I was a kid. My mom wouldn't let me spend my Christmas and birthday money on Fortress Maximus, but she let me buy all 6 of the wave 1 Autobot and Decepticon Pretenders. While I was disappointed with not getting Fort Max, I loved playing with my Pretenders as a kid. Imagine my joy 7 years later in 1995 when I discovered Masterforce thanks to a bootleg VHS dealer at a comic convention! To be perfectly fair, matryushka doll-like figures like our Pretenders can be hard to deal with on a marketing level, as with everything said and done, you'd effectively be buying two figures for the price of one as you stated. However, Engineering is a different thing, and one that should not be taken lightly as depending on how the "storing" is done, the "Shell" can be either sturdy, or very fragile. The G1 Pretenders had the inner robots fold up, and stored in a central cavity with arms. That can be extended to arms + legs with modern technology. That works beautifully with full joints from the get go. Now, having the "shell" limbs integrated with the robot limbs, that's asking for trouble. 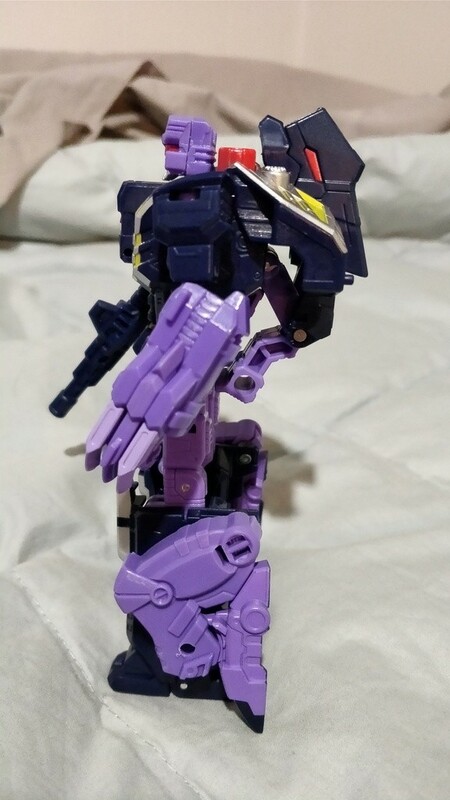 Bandai's Gordian used that principle and as a result, in addition to using metallic blue plastic that suffers from "Popy Disease" (precursor to our GPS), is fragile, due in part to having hollow limbs with (thin) joints on the outside. I haven't heard of any problems with it's successor Soul of Chogokin GX-39 Baikanfu, with a similar system however, but that's a high end collectible with better materials. In short, Pretenders can be redone, all it takes is something to make the idea appealing, and the right designs to make them last. I've seen some wicked custom Pretenders before, but would love to see a true modern update from HasTak themselves. That said, I enjoyed hunting the G1 originals down last year, and I get a lot of enjoyment out of them, despite the lack of articulation and the age of the toys themselves (GPS, mottled plastics, etc.). I'm still looking forward to getting them all, mainly because I like using the Prime cores as heads....and using the shells as weapons for their G1 counterparts. No luck finding Subz or Landmine, but I'm still happy about finally finding Moonracer. I have to say, I think Hasbro nailed it choosing to create small Pretenders. Having a main line that comes across like bloated, stiff he-man figures is an awkward product to market and sell. These come across as roughly human sized compared with the other robot figures, and have a lot of playability being targetmasters and 'matrices". Great to get some of the monster characters without them seeming awkward being giant humanoid shells. These just have a good feel at the small size. But better than that, I think the play pattern could have more uses... that it could be implemented in future lineups as the monster shells for Dinoking and Monstructor small robots?? I'd buy some dinosaurs and monsters with tiny robots inside. Personally I'm of the opinion that a straight redo of the Pretender gimmick on a mainline Hasbro budget would not work well unless they made the actual robot components Micromaster sized. Because really for a modernized Pretender to work it'd need much better poseability than just the arms- at least Marvel Legends level. 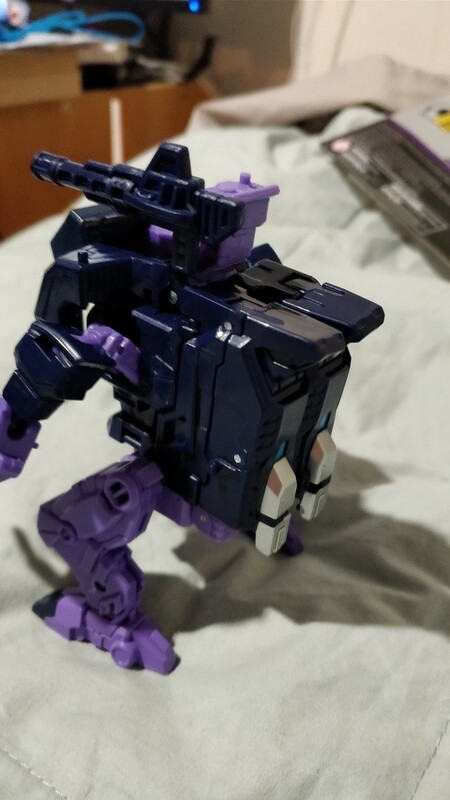 1: Modular, snap-on armour pieces as opposed to a full "shell", like Beast Hunters did with Shockwave and Smokescreen...except hopefully better. 2: Make them regular Transformers but with influences from the shells in both modes (see ROTF Bludgeon, 2010 Skullgrin etc). 3: As above but homage the gimmick by making them TR compatible. A tiny robot controlling a bigger, more powerful body makes sense after all. 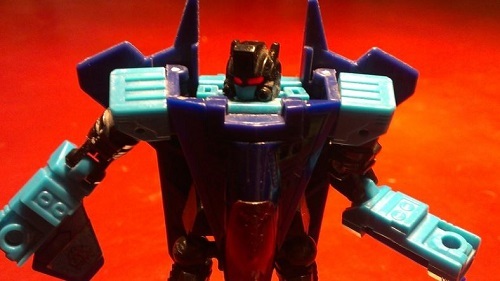 Alternatively, make them non-transforming action figures (like a Marvel Legend) that instead of a regular head has a TR-style headmaster, or alternatively a Titan/Prime Master style figure that sits in a little cockpit in the chest. Hey. Yeah, that's a decent option. The character with all the personality transforms — like 2010 Skullgrin — but has a tiny figure to go in the cockpit. I'd take that. Pretenders were a stupid concept that need to stay dead. Motto: "Action figures are the right of all sentient transfomers fans"
Galactic Prime wrote: Pretenders were a stupid concept that need to stay dead. 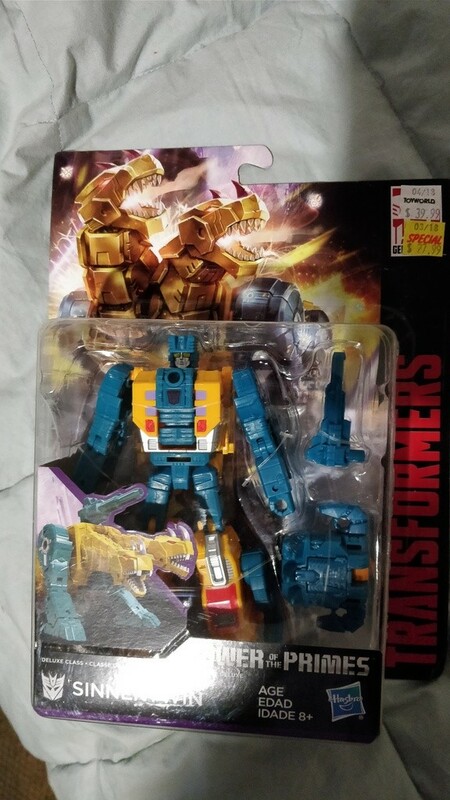 And what do you think that Primemasters are? Click link to view my new customs; Combiner Wars (deluxe class) Thundercracker,Combiner Wars Braver(nonbrainmaster), Titans Return Cliffjumper(comming soon) + more! I think he knows that. Motto: "Never forgive, never forget." I am not a G1 fan, please treat my opinions as such. william-james88 wrote: If ever Sabrblade decides to go on vacation, I am glad to know we can rely on you. 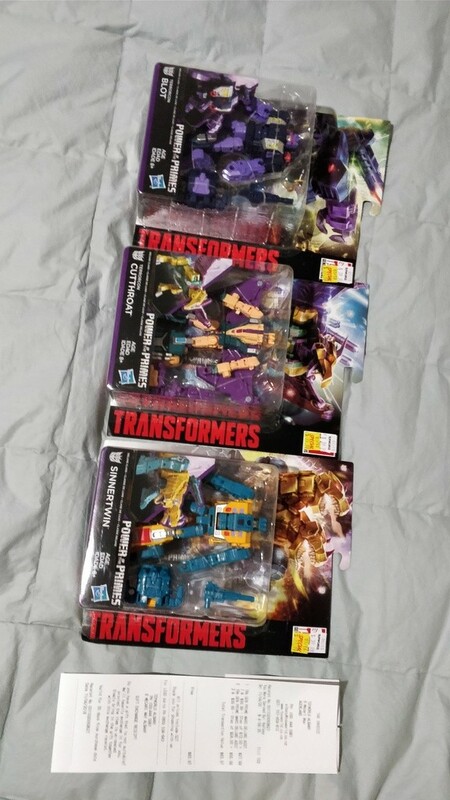 While on the subject, it seems my mother-in-law has found my 3 Prime Masters and actually thought they looked cute. She has a bit of a thing for Matryoshka dolls, so that may be partially why. I'm still waiting for updated Actionmasters. Mostly Banzaitron. Even if I'm not sure if we'd see them as proper AM or just updated as regular figures. 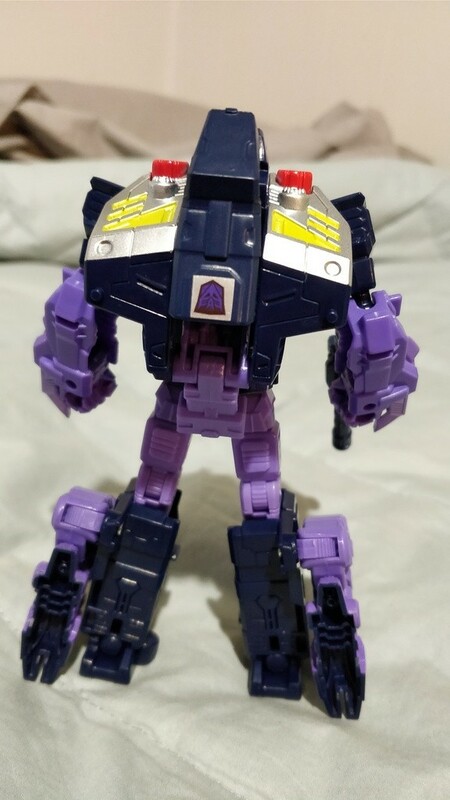 I would love a new Banzaitron figure that's not a repaint of something else. He's way to cool of a character to receive nothing but exclusive repaints. That's to say nothing of all the neat looking characters that didn't even get that much like Skyfall, Rollout, Over-Run, Sprocket, Gutcruncher, Powerflash, Charger, and Windmill. I missed out on the G1 Powermasters, and with PotP, I now have Blackwing & Dreadwind -- together, at last. They look great with the New Seekers from TR. bodrock wrote: I missed out on the G1 Powermasters, and with PotP, I now have Blackwing & Dreadwind -- together, at last. Wait a sec, is SlugSlinger in Gerwalk mode? New Zealand seems to be the hit place of 2018 for new Transformers sightings. 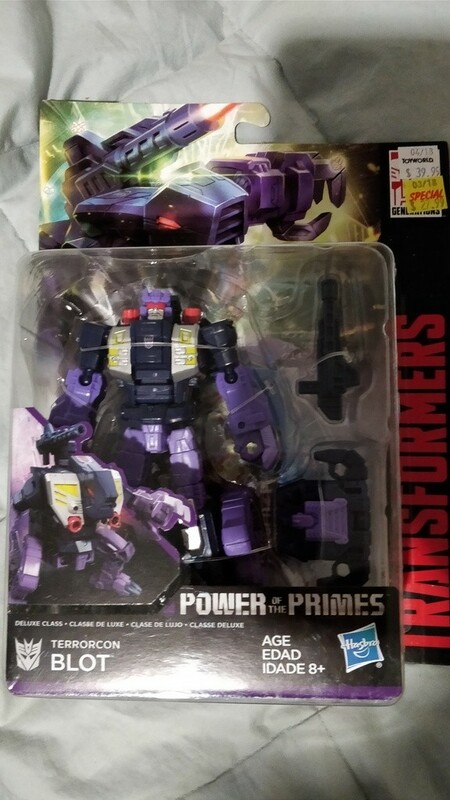 They are now the first country to get the third wave of deluxes from Power of the Primes. This wave includes Sinnertwin, Blot and Cutthroat. These have been found at Toyworld in the city of Aukland and while Toyworld usually happens to be pricier than non specialized outlets, these were priced at $27.99 NZD which comes out to about $20 USD, which is the MSRP for these figures. Several sightings were reported on TFNZ and one of the site's members, python5003, posted in hand images of Blot on Photobucket (which we mirrored below). 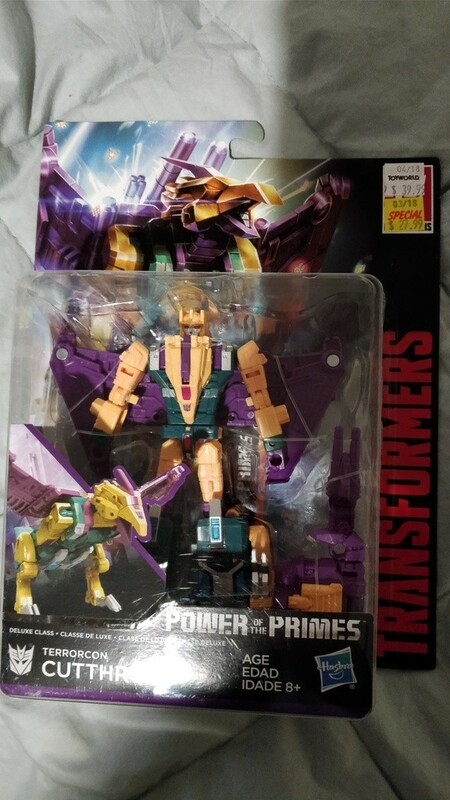 Now, while this may seem early, which is it, it should be noted that the wave 2 deluxes have yet to be found in New Zealand (and is not commonly found in other parts of the world). Wave 3 is scheduled to hit stores in summer so don't expect these to hit the US tomorrow. We thank westjames/notirish for sending this news out way. Just saying, this beast mode looks really cool. 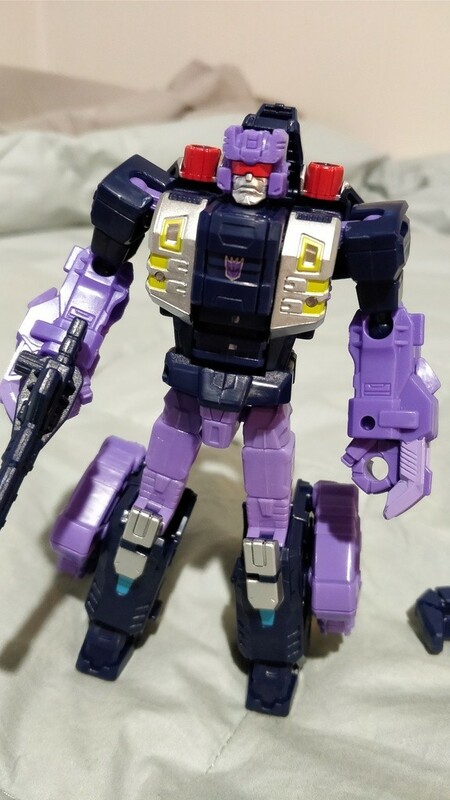 Well now I need to buy TWO Blots because that magnificent frown is getting turned into an IDW Crank Case. The TERRORCONS!!!! I can't wait to hunt 'em down. And yes, Slugslinger was totally doing the Gerwalk, Will! Do we know who's in the other figure slot(s) of Wave 3? I assume it's a repack (or two) from a previous wave. 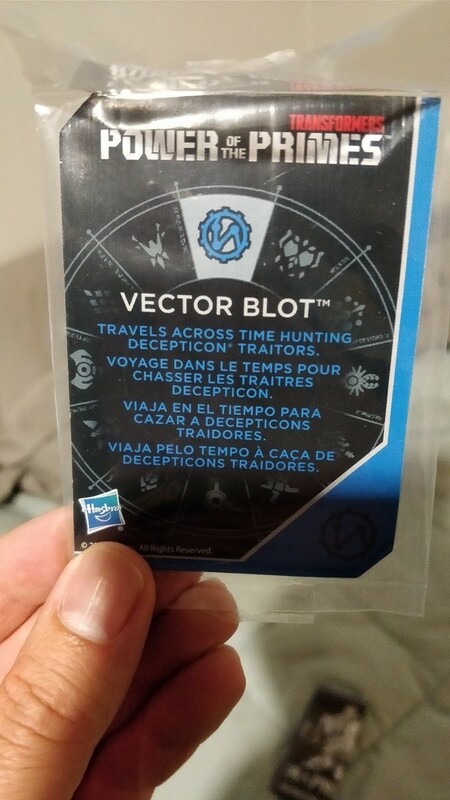 I've finally figured out what Blot's alt-mode is. He's a Krogan!! Now I see what everyone was raving about Blot's hands. Wolfman Jake wrote: Do we know who's in the other figure slot(s) of Wave 3? I assume it's a repack (or two) from a previous wave. 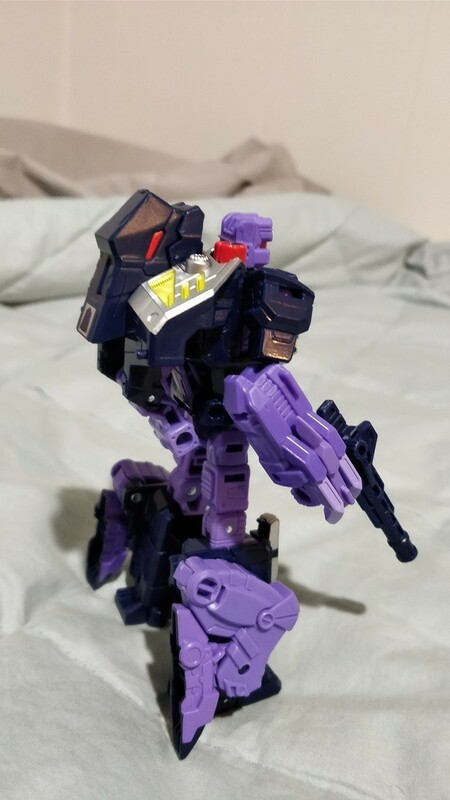 Blot continues to look like the standout figure of POTP. 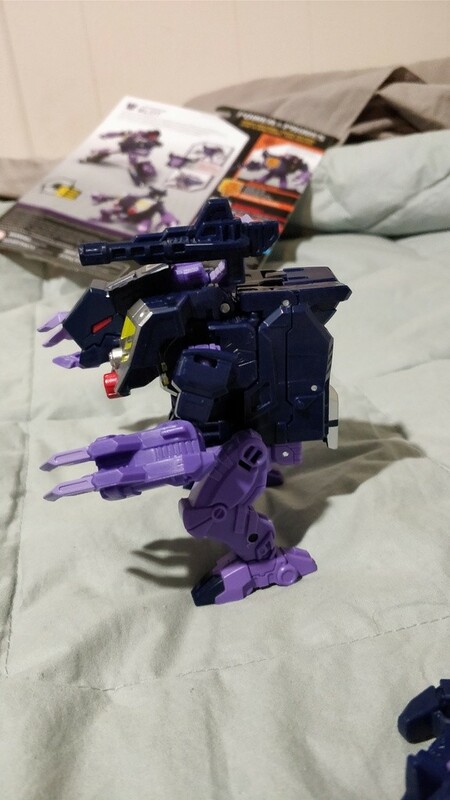 I needs him even if I don't get the rest of the Terrorcons (which I want to). I’m at a weird spot with the Terrorcons. 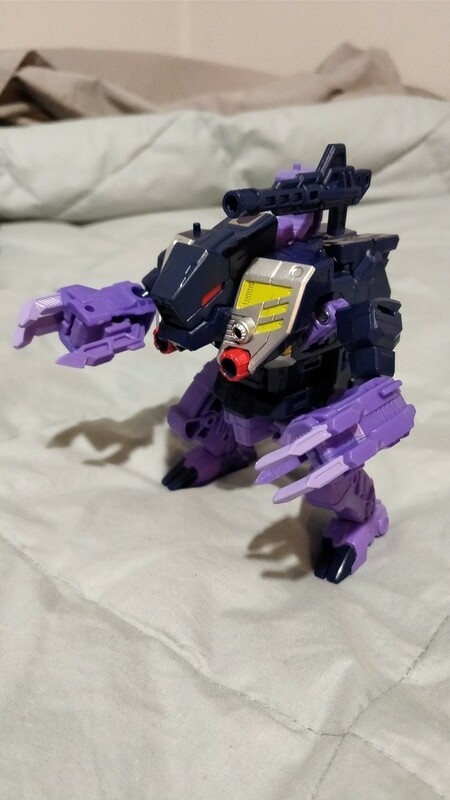 I really dig the looks of Rippersnapper and Blot but the others are pretty bland in my opinion. My gut(and wallet) says it’s all or nothing but I may still get those two. 4,123 pages were recently viewed by 653 unique visitors. This page was viewed 1 times on Thursday, April 18th 2019 8:17am CDT. © 2019 Seibertron, Inc. DBA Seibertron.com. All Rights Reserved. Established June 2000. Seibertron.com is owned by Ryan Yzquierdo.